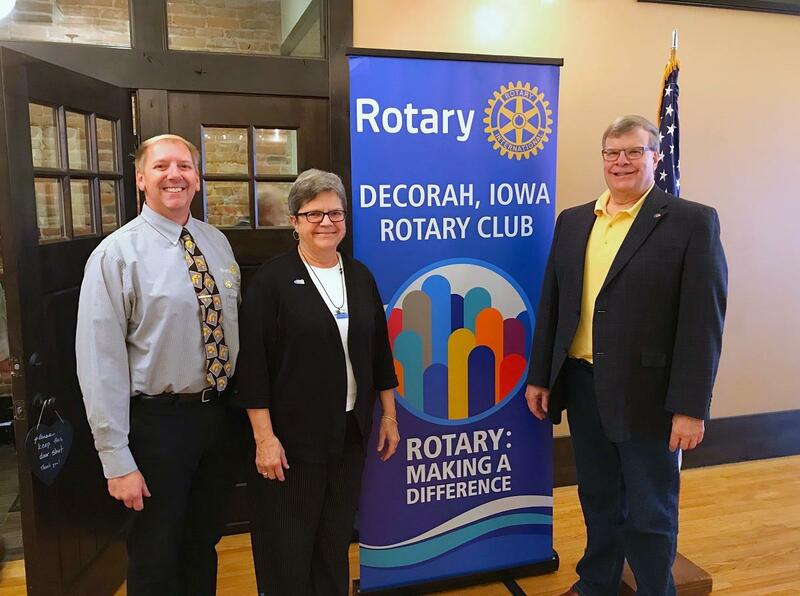 The Decorah Rotary Club was pleased and honored to host District 5970 Governor Neil Fell for our regular weekly meeting on Tuesday, October 9. Governor Fell regaled the attendees with Rotary history highlights, commended our local crooning prowess, and provided some insightful thoughts on membership composition and growth and on the Rotary Four-Way Test. Our members came away with an energized appreciation of the current Rotary Year theme "Be The Inspiration" and avenues to contribute to that theme. Our Club extends its thanks to Governor Fell for his time and uplifting message.